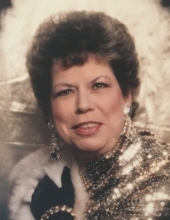 Katherine Wilder Puckett age 75, of Carrollton passed Friday, November 30, 2018. She was born February 24, 1943 in Carroll County to the late Ode Wilder and Druesilla Sears Wilder. Katherine retired from Sony Music after 20 years of service and was a member of Southern Hills Christian Church. Survivors include her daughter; Karmen Barber of Carrollton, sister; Karen Justiss Whaley of Roanoke, Al., brothers; Alan Wilder of Florida, Larry Justiss of Whitesburg, grandchildren; Katherine Paige Barber and Bethany Brooke Barber, great granddaughter; Sophia Kate Barber all of Carrollton. Funeral services will be conducted at 12:00 Noon on Sunday, December 2, 2018 from Martin & Hightower Heritage Chapel. Interment will follow in Carroll Memory Gardens. The family will receive friends Saturday from 5:00 until 8:00PM. Messages of condolence may be sent to the family at www.martin-hightower.com. Martin & Hightower Heritage Chapel has charge of the arrangements. To send flowers or a remembrance gift to the family of Katherine Wilder Puckett, please visit our Tribute Store. "Email Address" would like to share the life celebration of Katherine Wilder Puckett. Click on the "link" to go to share a favorite memory or leave a condolence message for the family.